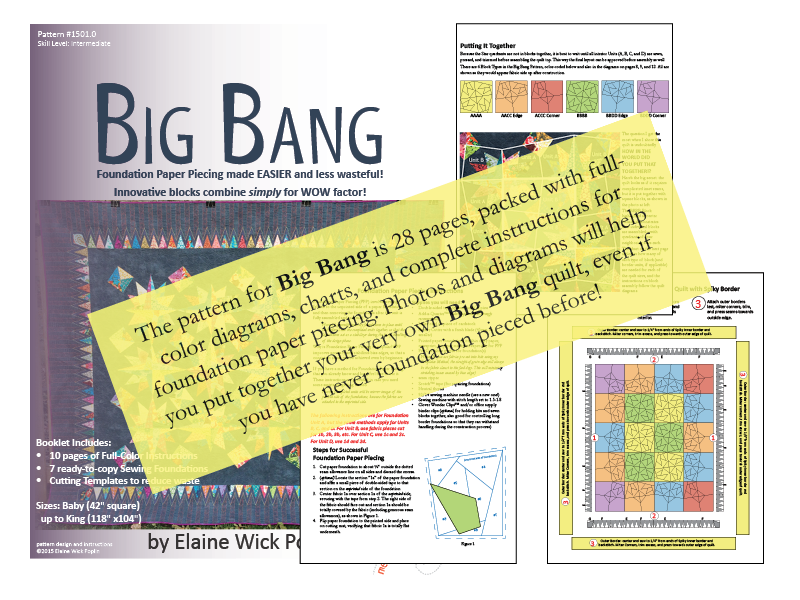 At a retreat in September I was urged to write a pattern for a quilt that I was working on, and it spurred me to learn Adobe Illustrator and InDesign in order to do the design justice. 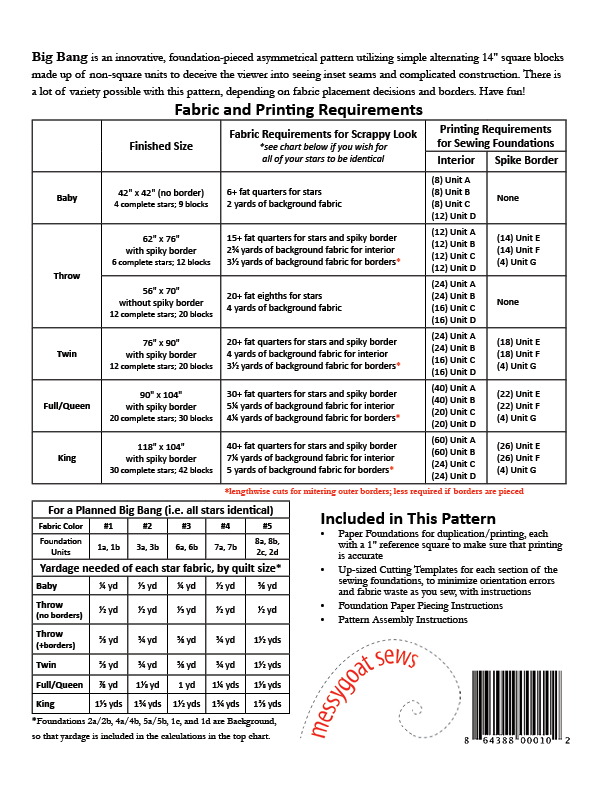 Since that weekend, I have registered for a Tax ID number, gotten business licenses, developed a logo, written a pattern, acquired a UPC for the pattern, and applied for copyright on the instructions inside that pattern. 6 months ago, I’d never have believed that I’d actually do it, but I REALLY HAVE. Here is the link to my Etsy Store… At some point I’ll have things set up at messygoatsews.com, but until then you can get the pattern (either the print version or the PDF) from Etsy. I have three more patterns already in the writing stage, and several more in the queue. This is by far the most complex one of the bunch, so it shouldn’t take me four more months to generate the next ones. Then again, we are going into the most hectic time of the school year. But I’ll do my best. In the meantime, I hope you’ll buy my first pattern! 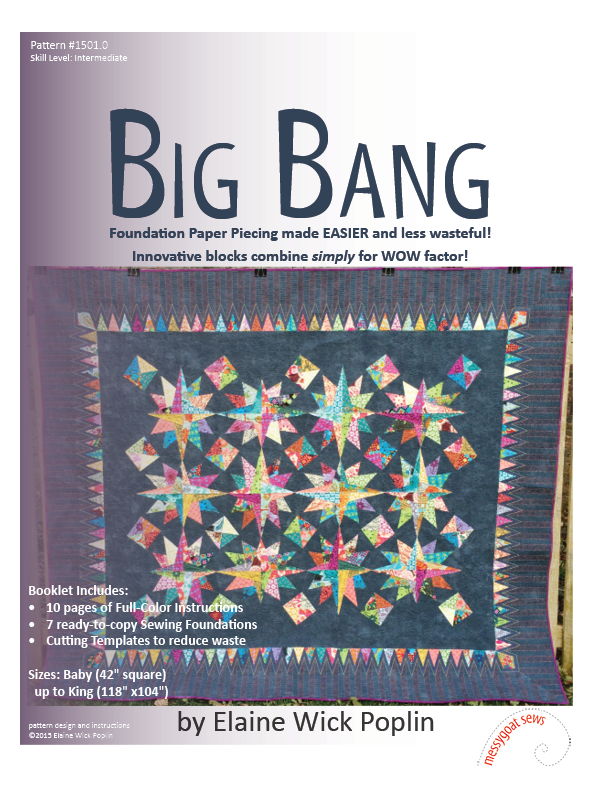 Author ElainePosted on February 3, 2015 February 3, 2015 Categories 2015 Works in ProgressLeave a comment on Pattern Release: Big Bang!